Five years ago, a mere 0.34 GW of energy storage could be found globally. Fast forward and the market is expecting 6 GW to be installed in 2017 alone. Globally, analysts expect the energy storage market to grow 47 percent in 2017 over 2016 installations. Most of these deployments will be utility-scale projects, while other markets are also showing significant growth. Best practices from recent storage projects are revealing ways to shorten project timelines, reduce costs and effectively deploy electrical energy storage systems. In October 2012, a 5-MW/1.25-MWh energy storage system, part of a broader U.S. Department of Energy Smart Grid Demonstration project, was commissioned for Portand General Electric (PGE). This early energy storage system was integrated with an existing distribution feeder and utility-dispatched distribution generation, to form a high-reliability zone. The system was an industry-first; it used lithium-ion battery technology in a large, utility-scale application that could operate connected to the traditional utility supply or as an island in voltage forming mode, allowing the generation on the feeder to connect to it. When connected to the substation, through intelligent power management, the energy storage system can store or release energy depending on energy market conditions to optimize lower cost generation resources. The system can also prioritize renewable generation over fossil fuel plants, ensuring that the utility makes the best use of renewable energy that is already available. 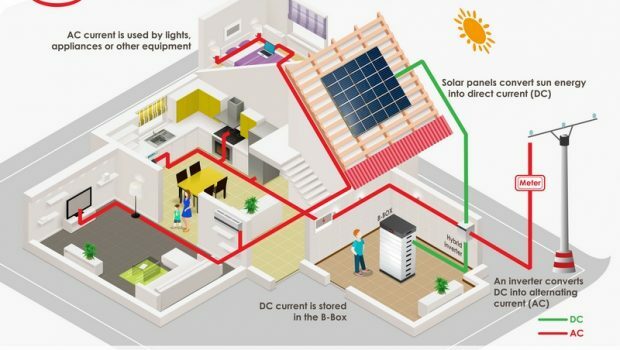 The integrated control system operates the energy storage system in a variety of modes interfacing with inverters, power meters, the battery management system and the utility’s upstream system controls. This control system with closed-loop controls coordinates the operation of the inverters and balances states of charge among the forty battery blocks. In the event of an upstream outage, the control system, combined with custom inverter programming, provides seamless support for loads. The system also allows the operator to request that the batteries be equalized in charge and enables the storage system to respond to real and reactive power commands from the utility, helping the utility test its smart-grid control algorithms. The intelligent energy storage system along with the dispatchable generators create a high-reliability feeder, which can detect faults and island the medium voltage feeder, helping to improve service reliability. Inside the high-reliability zone, a 2.5-mile smart feeder system provides reliable power for residential, commercial and light industrial customers. Additionally, the energy storage system has sufficient capacity to support the microgrid for several minutes, creating a backup power supply. In 2012, this system was at the forefront of smart grid technologies that are helping build the intelligent DERs of today while continuing to deliver value for the utility’s customers. In Southern California, energy storage systems from two different developers totaling about 39.5 MW were built in late 2016 to provide critical grid support and capacity services. The first, a 2-MW/8-MWh project in Irvine was part of the Southern California Edison 2016 Aliso Canyon Energy Storage Resources Adequacy (RA) Only solicitation. The second 30-MW/120-MWh system was built in Escondido with a third, 7.5-MW installation in El Cajon. All three systems were built in response to the CPUC’s order to Southern California investor-owned utilities to fast-track energy storage in order to provide better regional energy reliability. The lithium-ion battery projects are balancing renewable generation so that local stored energy resources can be tapped based on regional electrical demand. The projects are installed in areas to help mitigate the threat of electricity service interruptions to critical load areas. The systems were developed, manufactured, installed and commissioned in about six months, thanks to the developers, local utilities and municipalities helping expedite permits and grid interconnection. The projects used both small and large central storage inverters. All three projects utilized Eaton grid connection switchgear and medium voltage transformers. In November 2016, the Amsterdam ArenA signed a ten-year contract with The Mobility House, Nissan and Eaton to provide back-up power from a mix of second-life and new batteries. This system will be used for a host of purposes, including: to provide back-up power services to the arena; to enable the arena to power the surrounding neighborhood in the case of a grid outage; to function as an emergency power supply, capture peaks in energy demand and support grid stability through frequency regulation, load shifting and PV usage optimization. Approximately one third of the batteries used on the project will be repurposed from previously used EVs. Once complete, the 3-MW/2.8-MWh system will be the largest energy storage system powered in part by second-life batteries used by a commercial business in Europe. The xStorage Building System used by the Amsterdam ArenA efficiently stores and distributes energy when it is needed and supports frequency regulation, peak shaving and battery-backup for events. The system powers four on-site electrical distribution feeders and utility connected transformers. Shipments of the energy storage system are expected to start in late 2017. 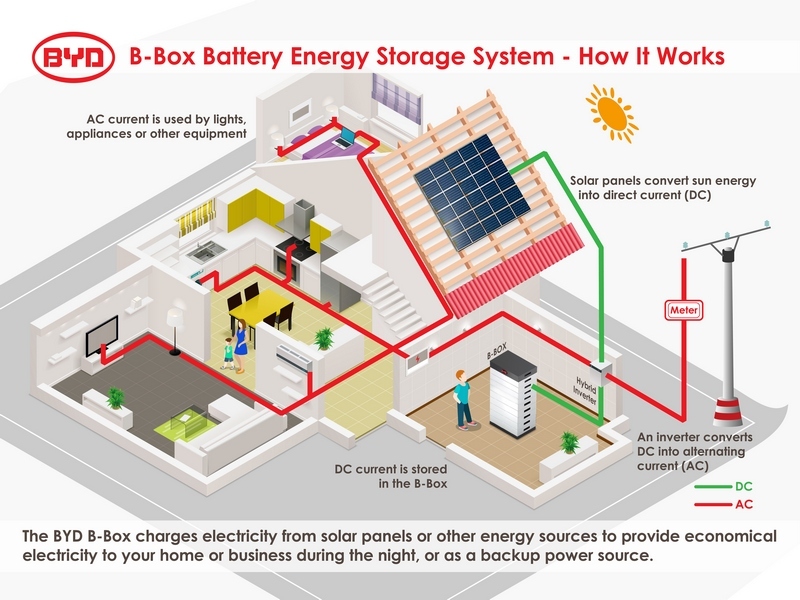 Whether replacing a critical fuel source or acting like an on-demand power plant – residential, commercial and industrial customers are all taking advantage of the massive benefits provided by utility-scale energy storage systems. These electrical solutions are now proven in projects of large scope, and are providing a model for utilities around the world to optimize the use of renewable energy. Regardless of the battery technology used, the electrical system supporting large-scale energy storage projects looks largely the same; grid-tied power conversion systems, electrical balance of system equipment to connect to the utility grid or facility and the controller that intelligently manages it. Inverters play a crucial role in storage projects and provide the direct interface with the batteries. The inverter charges and discharges the batteries and also provides the expected grid regulation functions, complying with appropriate power quality requirements and supporting the grid during abnormal conditions with high, low and frequency ride-through functions. Much like in solar PV plants, large-scale storage projects use either large central inverters or rely on many smaller inverters. Typically, large storage inverters range from 500 to 2500 kW, are mounted on a concrete pad or skid and are rated for the outdoors. Smaller storage inverters range from 50 to 250 kW, are rated for the indoors and installed on the floor or a rack. The electrical solutions supporting energy storage include everything from the AC and DC switching and protection to medium-voltage transformers to step up voltage to the utility level. Typically, the utility dictates the requirements for switchgear and metering. An energy storage system controller is the interface between the battery management system (BMS) and the utility or building control system and supports specific application requirements like frequency regulation, renewable firming, load shifting, or demands made to the system. Best practices for energy storage control systems dictate that they are modular and scalable when designed for large-scale, utility applications. Modularity is important so that the system has the flexibility to expand its control to other forms of DERs. The controller for the energy storage system typically needs the ability to operate in both grid-connected and islanded modes.